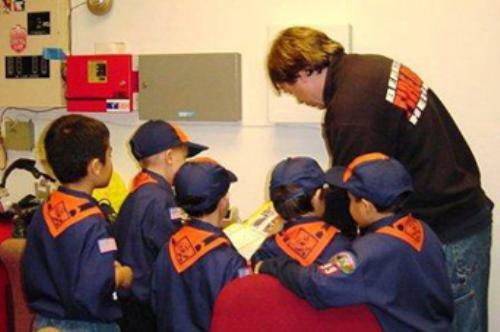 The Cub Scouts meet four times a month. There are two monthly Den meetings. The third meeting is for a special outing called a Go-See-It, and the fourth meeting is the collective Pack meeting, where all the individual dens come together. Meetings are specifically designed for boys to earn Achievements throughout the Cub Scout calendar year, September through early June. Meeting times and locations are determined by individual Den Leaders. The boys are required to have a Cub Scout uniform. The Cub Scout uniform is worn on Scout Tuesdays, at all Den meetings, all Go-See-It outings, and at the monthly Pack meeting. Pack 99 is committed to community service and tries to make that a priority. The boys work on community service projects as individuals, through the dens, and collectively as a Pack. Cub Scouts affords the boys of our school opportunities for hiking, crafts, cooking, exploration, and field trips, in addition to community service.